We are quite happy to provide instruction at your clinic or hospital setting. We have established a reputation for quality teaching (audiovisual and kinesthetic) and support for learning after the conference is completed. We can bring our classes and techniques to your seminars, meetings, and conferences. 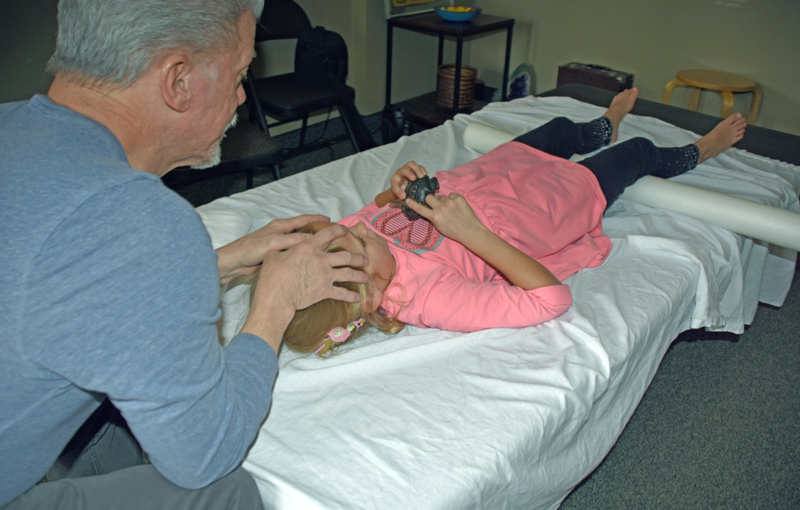 Joe Cordes is an experienced and respected instructor who has taught hundreds of therapists and clients over his 29-year career. He began his teaching career at St. Mary’s hospital in Grand Rapids, where he offered regular classes for his own staff in manual techniques and worked 1:1 with all orthopedic team members on their skills in weekly practice sessions, in his role as an Orthopedic clinical specialist. This quickly led to his getting requests from Michigan hospitals/clinics for him to teach various manual therapy classes for their staff. He has averaged 6-10 classes per year over most of his career since. From 89-94, he taught with the Gordon Group in their Myofascial Reorganization classes, incorporating direct release techniques based on Rolfing approaches, combined with gait analysis and various myofascial release approaches. Joe was a senior teacher during that time & traveled across the country with enjoyable & successful seminars. Joe then shifted his focus to Feldenkrais method and started seeing how neuromotor strategies, indirect techniques, and movement awareness exercise based on Feldenkrais lessons could enhance any clinician’s or client’s goals for healing and gaining freedom from past protective and habitual patterns. How Acupressure and Chinese/Japanese concepts of balance and of body-mind, relate to the process of learning and facilitating change in our health journeys. In more recent years, Joe offers many classes out of his own clinic, as well as traveling to clinics/hospitals that request his teaching. He prefers to do progressive classes, that lay a foundation and then build with higher levels of instruction. He maintains a close relationship with therapists & physicians at MaryFreeBed Rehabilitation Hospital in Grand Rapids (his first employer), and recently led a 3-year internship with 12 outpatient therapists and 6 inpatient therapists, teaching 2 weekend classes per year, and meeting 3x/month for 1-2 hours, to work on skills, on documenting, and integrating manual therapy and neuromotor education strategies into daily practice. 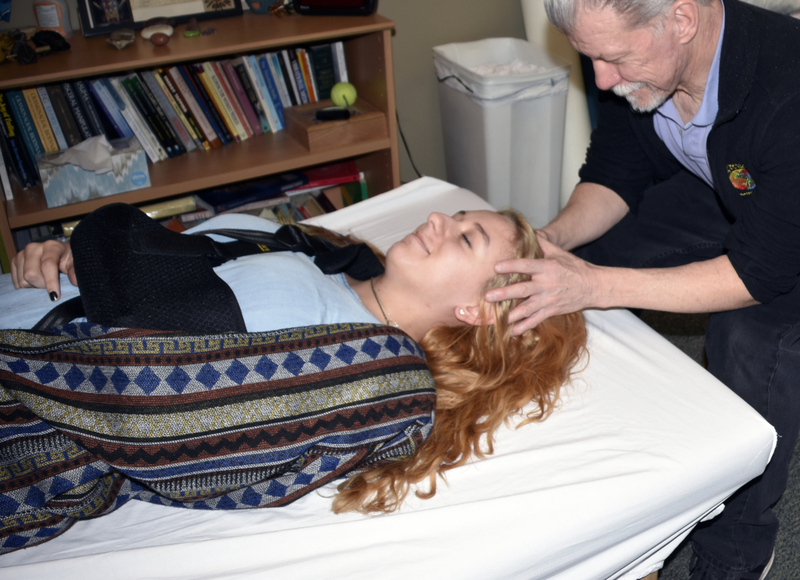 This was 100% success in assisting the therapists to a high level of competence and success, and in helping the senior manual therapists become proper mentors to their own staff. He now continues to visit Mary Free Bed monthly for skill practice or to demonstrate eval & treatment on clients with resistant symptoms, with treatment recommendations. Joe is an experienced speaker at conferences and annual meetings and has had done so many times for various groups including the Michigan Physical Therapy Association, Advanced Brain Technologies annual conference, the National Athletic Training Association, and hospitals/clinics seeking to provide Complementary Medicine including St. Mary’s Hospital Wege Insititute for Mind/Body/Spirit, as well as similar clinics in other states in the U.S.